Getting loans for Bitcoin mining or any other crypto related businesses is quite challenging. This is because many banks around the world don’t yet understand Bitcoin and cryptocurrencies. And as a result, they don’t recognize these as legitimate businesses also. Getting extra capital for scaling crypto businesses can be a daunting task given the fact that you have to pay for electricity bills, buy mining equipment, see the payroll, etc. Moreover, unregulated lending options force businesses into costly agreements which serve as an extra burden on a relatively new industry. One thing that is common amongst all crypto businesses is that they have cryptocurrencies like Bitcoin or Ethereum or some other most of the time. But these cryptocurrencies themselves generate no revenue for them and just sit idle in the multisig wallets of the business owners. These cryptocurrencies can be kept as collateral to borrow extra capital and that’s what the new crypto lending platforms like BlockFi or Nexo are doing !! 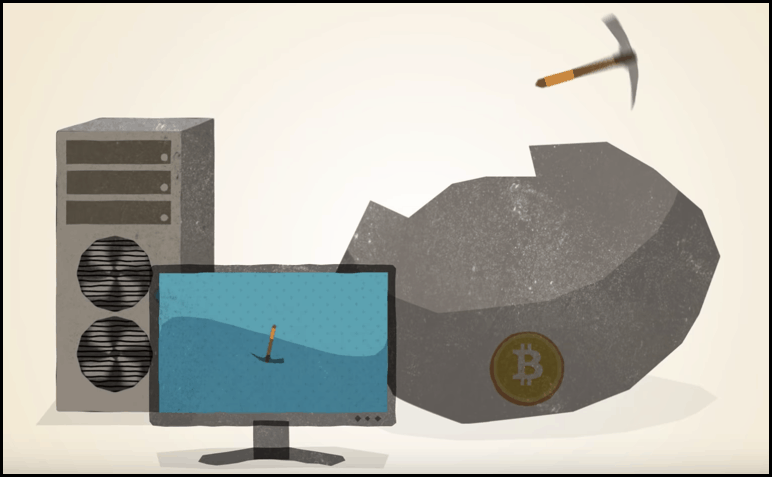 Small Bitcoin miners are always looking to expand their operations and thus looking for loans. The reason is two-fold for this, one because they believe in Bitcoin’s long term potential and second, they don’t want to sell their already mined bitcoins. Plus Bitcoin mining is a highly energy-intensive process that takes a lot of electricity and specialized mining devices that costs thousands of dollars. Last but not least there is a maintenance cost of these mining farms as you need temperature regulated environment to optimize your mining farm. All this costs money, and by using Bitcoin lending services, a miner can easily collateralize his/her bitcoins to get access to fiat loans in USD or EUR. How To Fund Crypto Mining With Cryptocurrencies Like Bitcoin? Funding cryptocurrency mining operations with the cryptos one is mining is quite easy. Though it was not easy in the early days of Bitcoin and cryptocurrencies, now you have got crypto lending sites that accept various cryptocurrencies like BTC, ETH, LTC or stablecoins as collateral to issue fiat loans to crypto miners. To get the funds, a miner just needs to verify his/her identity on one of these platforms and upon completion of the KYC is allowed to transfer crypto funds to these lending platforms. Once the platform receives the crypto, they issue the loan as per the collateral deposited by you and the current lending rate on their platform. Also, through these services, a crypto miner can apply for a loan as an individual or as a business owner. Also you can expect to get a loan in a day or two without undergoing stringent credit score checks. But there are more facilities for business owners in some case, and that’s what we are going to discuss in the next section. Crypto businesses that usually raise a considerable amount of BTC or ETH in ICOs or STOs have no idea what to do with this huge amount of cryptocurrencies. Of course, the hard reality of present cryptosphere is that most of the workforce in this space expects to be paid in USD or EUR like fiat currencies to doge the wild volatility of cryptocurrencies. That’s why many crypto businesses sell a certain portion of their BTC or ETH holding regularly to fund their day to day operations. But some business owners who know that these bitcoins or ethers can be worth much more in the future are quite reluctant to sell their cryptocurrencies. These businesses can now keep their BTC or ETH or stablecoins as collateral with cryptocurrency lending sites and get USD loans to run their operations. How To Fund Businesses With Cryptocurrencies Like Bitcoin? Bylls-Canada’s first and largest Bitcoin payment processing company naturally receives a lot of bitcoins due to the nature of their business. But just like individuals, businesses also don’t want to ride the volatility of Bitcoin and they too sometimes require extra capital to expand their operations. In such cases too businesses like Bylls can collateralize their BTC holdings to receive USD or fiat loans, and that’s what they did recently by becoming the first client of Ledn– Canada’s first crypto lending service. Moreover, the process is almost similar for businesses too to receive crypto backed loans from these lending services. They just need to complete their KYC and transfer their crypto holdings to the lending platform. Then the lending platforms tell these businesses what APR and LTV they would be getting based on the number of coins and the types of coins that are kept as collateral. Lastly, crypto loans for individuals and business owners reduce the tax liabilities as they are not taxable events. That’s why taking crypto loans are any day better than selling your crypto holdings, which is a taxable event. That’s all from our side in this article on procuring crypto loans for your business or mining operations in Iceland or China!! Do tell us in the comments section below, if you find this article helpful and we shall be back very soon with more interesting content on cryptocurrency loans ! !